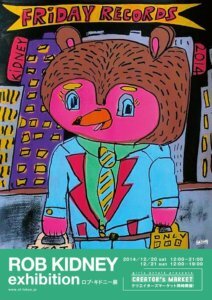 Rob Kidney Exhibition at AL gallery Tokyo 20th -21st December. 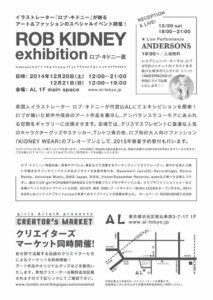 I have a 2 day exhibition at AL Tokyo gallery! The ‘ANDERSONS’ live performance on the 20th at 7PM! 前 Illustrations for The Flickers ONE MAN LIVE shows.